Sparra & Jay are joined by Derek Watson to discuss the Lanarkshire Derby defeat, preview the upcoming fixture with Celtic, chat about this weekend’s Music Makes Motherwell festival (which Derek is organising), and devote a fair chunk of time to the inevitable repeal of the Offensive Behaviour at Football Act this week. No daleks were strangled in the making of this podcast. 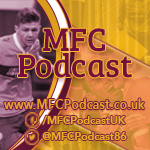 In the latest episode of the podcast Sparra and Jay discuss the 1-0 defeat to Aberdeen, the continued search for a new manager at Fir Park, the upcoming home fixture against St Johnstone, the Well Society & more. Sparra was also joined by Derek Watson, one of the organisers of ‘Motherwell Makes Music’ a new music festival coming to the town this weekend. 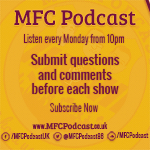 Derek also gave his take on Mark McGhee’s departure, the hunt for a new boss and SLOs at MFC.